- Three foreign oil juniors are set to begin exploration in Somaliland by next year, as the rush on East African hydrocarbon largesse extends to the riskiest venues of the Horn. There’s one small problem, though: Somaliland has not been recognized since it declared independence from Somalia in 1991. That, however, is a minor detail as far as Turkey’s Genel Energy, Australia’s Jacka Resources, and the UK’s Ophir Energy are concerned. All three have announced they will launch exploration in early 2013. Somaliland officials are of course euphoric. The big name here is Genel Energy Plc (GENL), headed by former BP CEO Tony Hayward. The Turkish company hopes to drill its first well in Somaliland in 2014. It’s the geology that’s got everyone excited, drawing comparisons to Yemen, which has some 9 billion barrels of proven reserves—and enough conflict to make extraction, production and getting product to market a major challenge. Genel is sure the resources are there, leaving only commercial viability to determine. Everyone might have been a bit surprised at Genel’s interest in Somaliland. The Turkish company has never previously shown any interest in Africa. 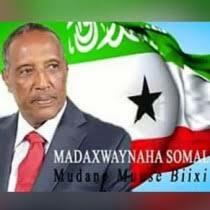 Now it is ready to dump $40 million in investment into Somaliland next year alone. Over the next three years, Genel reportedly plans to invest around $400 million in Africa. In August, Genel acquired rights to two blocks in Somaliland, and made similar acquisition elsewhere in Africa—in Morocco and Côte d'Ivoire. Somaliland is now courting more investors for the rest of its onshore and offshore blocks. Investing in an unrecognized country is a bit challenging, however. Insurance is a major question, and international financial institutions—necessary for economic development—can’t touch a nation that has no sovereignty. Sovereignty aside, the rest of the package is fairly attractive. There is relative stability and Somaliland’s Berbera port—located along a fairly busy maritime lane--makes it a potential strategic hub between Africa and the Middle East. Somaliland officials are already eyeing the potential for refineries and export terminals. War-torn Somalia and semi-autonomous Puntland—Somaliland’s neighbors—are also benefitting the rush of interest from foreign oil companies. Canada’s Africa Oil began drilling wells in Somalia in January. This is the first oil activity Somalia has seen in over two decades. Some of the security optimism stems from a largely US and Kenyan offensive against al-Shabaab militants in Somalia, which has wrong-footed the militant group and put them on the run. Everyone seems to feel there is some breathing room in Somalia now, but this should not be translated into stability. Al-Shabaab may be down, but it’s not out, and there is evidence that it is regrouping in Puntland, which will be bad news for Somalia and its neighbors.